Probably the best way to eat healthy is by eating raw food such as fruits and vegetables. But in all honesty, when everyone around us is devouring whatever food they like especially in parties and buffets, we can not help but give in. Consuming raw food takes lots of discipline and dedication. Aside from that, Filipino food is prepared mostly by frying with cooking oil. Fried food seems to be the staple food among our countrymen. Fried Tilapia, fried chicken, even our breakfast is fried egg or bacon! What if we stick with frying and forget about the health hazards of repeatedly using cooking oil? Here's the good news! It is actually possible to stay healthy even when eating fried food. It all boils down to the kind of cooking oil used. I had the opportunity to attend the discussion "Coconut Oil: The Truth Shall Make You Healthy which was sponsored by MINOLA PREMIUM COCONUT OIL. I was astounded by the amount of information I got from Dr. Fabian Dayrit. He is the go-to-guy when it comes to this subject. Why, you may ask? He is a professor from Ateneo de Manila University, Acting-President of National Academy of Science and Technology and Chair of Scientific Committee for Health, Asian and Pacific Coconut Community. 20. Coconut Oil for Hormonal Imbalance. 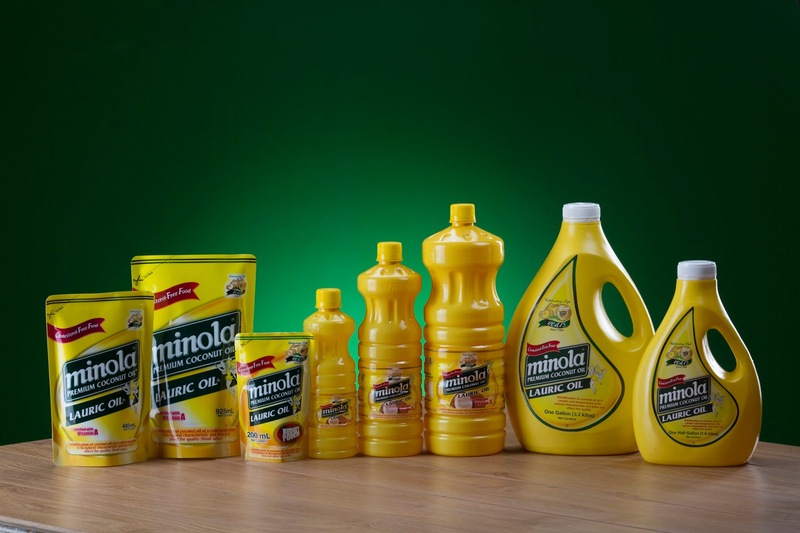 Whichever product you choose, you can't go wrong with Minola!